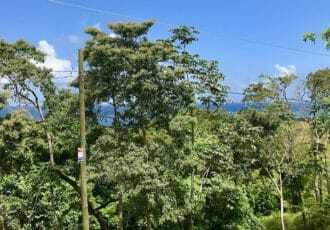 Roatan, is quickly gaining popularity as a desirable second home destination. Located in the Western Caribbean, with gorgeous white sandy beaches surrounded by turquoise blue waters, abundant mountains covered with tropical jungle, rich island culture and the second largest coral reef in the world, the island offers something for everyone. Regarding accommodations and available investment opportunities, the island still retains its authentic island charm so visitors have a wide variety of options to choose from ranging from full amenity resorts to more rustic selections. 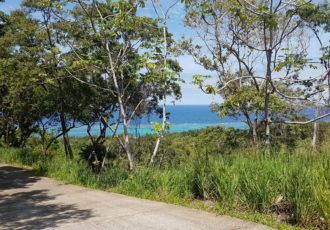 Owning a piece of the Caribbean has never been so accessible before, purchasing property in Roatan is a simple and uncomplicated process. 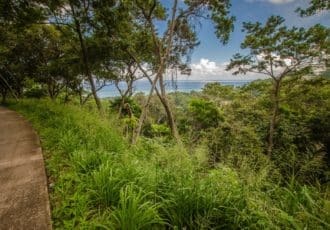 Property ownership is guaranteed by the Honduran Government and Foreigners are allow to purchase up to .75 of an acre of property under their individual name. To purchase more than 0.75 acres, a Honduran corporation needs to be created, with the help of a qualified attorney. Forming a corporation in Honduras is a fairly easy process. A corporate entity is formed by two Honduran nationals, once the corporate papers have been ﬁled and registered, the original shareholders will endorse their shares to you through a straightforward share purchase agreement and transfer and deliver all shares and rights to you. The approximately cost to form a Honduras corporation is about US$2,000. In order to protect your investment, you need the assistance of a qualified Real Estate Broker and Honduran Attorney so they can guarantee the documents associated with clear title. Although tile insurance is not required, Title Insurance is available demonstrating the security of owning property. Once you have chosen the property you wish to purchase, with the help of your broker, you must enter into an offer to purchase Agreement which specifies the property and outlines the conditions of the sale. Upon the acceptance of the seller of the negotiated terms of the agreement, the purchaser would be requested to send the Earnest Money Deposit, which is typically 10% of the purchase price to the broker or attorney escrow account. The remaining funds will need to be wired at closing and need to be deposited to the escrow account approximately 3-5 days before closing takes place. Closing costs range between 5.5% – 6.65% of the agreed sales price and vary depending on the municipality that the property belongs to. These closing costs cover Land Transfer Taxes, Municipality Taxes, Notary Services, Stamps, Notary Services Taxes & Document Registration. If a Honduran Corporation is formed, a mortgage is required or title insurance is purchased, there would be additional costs based on each case. Have the Purchaser fly to Roatan for closing and sign the papers in person. Provide a Power of Attorney (POA) to your designated Honduran lawyer to close on your behalf and accept title in your name. If a Honduran Corporation is being formed for the purchase, you can authorize your Honduran attorney to conduct a shareholders’ assembly for the buying corporation to provide Power of Attorney, which is something that can be done during the act of incorporation. Property Taxes are around 0.35% of the sales price and are paid per year. For example, on a $100,000 property, your property taxes would be $300 per year. The municipalities usually offer discounts if you pay during the first trimester of the year.